We are 100% Manufacturer company and working from last 10 years and offering these products, We have 100% control on our Manufacturing units for products which we deal in. We don't make customers we make friends of business. 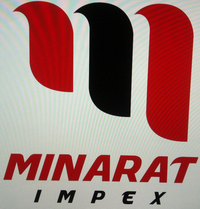 Basically Minarat Impex is offering and engaged in manufacturing a wide range of Leather Motorbike Gloves ,Jackets , Shoes, Suits, Uniform, Clothing, Tactical Gears and accessories for MMA Boxing , Airsoft, Army, Paintball, Shooting, Hunting, MilSim, Military, Police, Sports & Law Enforcement agencies. From Day one its inception we believe in profound satisfaction of our buyers in every possible way. Provision of exceptional quality, most competitive prices and in time delivery has made us popular among our valuable clients. Our specialty is to develop the merchandise from provided ideas into reality with buyer's defined customization and in-house production resulted in complete privacy for the branding and products uniqueness. Our products range is too long that can't be packed in few pages so if something which you desire is not found in our Web Site, please write us with such confidence that this will be developed according to your expectations.